The US Congress is sending president Donald Trump legislation that would force technology companies to disclose if they allowed countries like China and Russia to examine the inner workings of software sold to the US military. The legislation, part of the Pentagon's spending Bill, was drafted after a Reuters investigation last year found software makers allowed a Russian defence agency to hunt for vulnerabilities in software used by some agencies of the US government, including the Pentagon and intelligence services. The final version of the Bill was approved by the Senate in an 87-10 vote on Wednesday, after passing the House last week. The spending Bill is expected to be signed into law by Trump. Security experts said allowing Russian authorities to probe the internal workings of software, known as source code, could help Moscow discover vulnerabilities they could exploit to more easily attack US government systems. 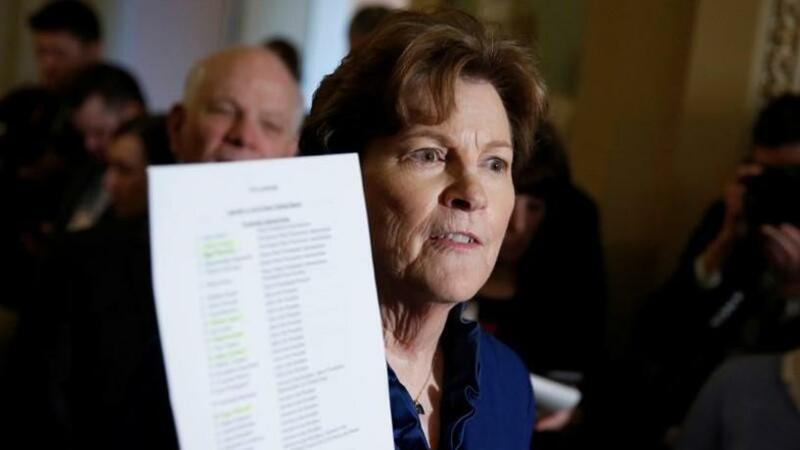 The new rules were drafted by democratic senator Jeanne Shaheen of New Hampshire. "This disclosure mandate is the first of its kind, and is necessary to close a critical security gap in our federal acquisition process," Shaheen said in an e-mailed statement. "The Department of Defence and other federal agencies must be aware of foreign source code exposure and other risky business practices that can make our national security systems vulnerable to adversaries," she said. The law would force US and foreign technology companies to reveal to the Pentagon if they allowed cyber adversaries, like China or Russia, to probe software sold to the US military. Companies would be required to address any security risks posed by the foreign source code reviews to the satisfaction of the Pentagon, or lose the contract. The legislation also creates a database, searchable by other government agencies, of which software was examined by foreign states that the Pentagon considers a cyber security risk. It makes the database available to public records requests, an unusual step for a system likely to include proprietary company secrets. Tommy Ross, a senior director for policy at the industry group The Software Alliance, said software companies had concerns that such legislation could force companies to choose between selling to the US and foreign markets. "We are seeing a worrying trend globally where companies are looking at cyber threats and deciding the best way to mitigate risk is to hunker down and close down to the outside world," Ross told Reuters last week. A Pentagon spokeswoman declined to comment on the legislation. In order to sell in the Russian market, technology companies including Hewlett Packard Enterprise, SAP and McAfee have allowed a Russian defence agency to scour software source code for vulnerabilities, the Reuters investigation found last year. In many cases, Reuters found the software companies had not informed US agencies that Russian authorities had been allowed to conduct the source code reviews. In most cases, the US military does not require comparable source code reviews before it buys software, procurement experts have told Reuters. The companies had previously said the source code reviews were conducted by the Russians in company-controlled facilities, where the reviewer could not copy or alter the software. The companies said those steps ensured the process did not jeopardise the safety of their products. McAfee announced last year it no longer allows government source code reviews. Hewlett Packard Enterprise has said none of its current software has gone through the process. SAP did not respond to requests for comment on the legislation. HPE and McAfee spokespeople declined further comment.